What do you think was the best movie of 2018? With every new year comes award-winning film productions. This year will be no exception. Awaited movies will be shown at cinemas across the nation, with hundreds of fans waiting for the opening day. Here’s a list of the most anticipated movies coming in 2019. Once Upon a Time in Hollywood is Quentin Tarantino’s next feature film. 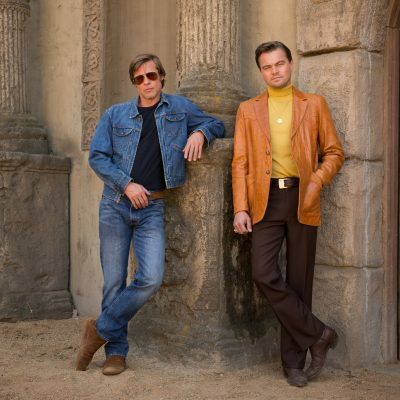 Once Upon a Time in Hollywood follows a faded TV actor (Leonardo DiCaprio) and his stunt double (Brad Pitt) as they strive to achieve success in the final days of Hollywood’s golden age. The movie takes place at the time of the Manson murders, which is a specific detail to include in a plot synopsis. It seems only time will tell what’s in store in Once Upon a Time in Hollywood. The cast of this movie- Well, It’s nothing to joke about. Margot Robbie, Margaret Qualley, Dakota Fanning, Al Pacino, Kurt Russell, and more. And don’t forget that Quentin Tarantino is directing. This is the man responsible for Pulp Fiction and Reservoir Dogs. Once Upon a Time in Hollywood is set to premiere on July 26th. 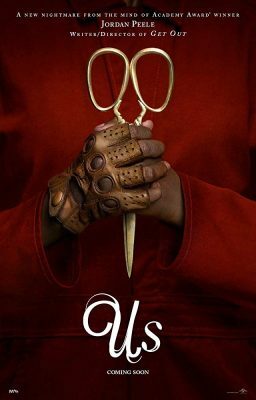 As of recent, Jordan Peele seems to be doing everything horror. Just a few days ago he announced his The Twilight Zone reboot. Now, in March, Peele’s second film, Us, is set to premiere. Us follows married couple Adelaide Wilson (Lupita Nyong’o) and Gabriel Wilson (Winston Duke) and their two children (Evan Alex and Shahadi Wright-Joseph) as they stay with another family at their beach house. Their enjoyment soon turns to fear as a group of familiar strangers arrive. The trailers for Us, while few and far between, have all been exceptionally creepy. While Jordan Peele’s Get Out was an astounding social commentary as well as a fantastic horror movie, Peele has repeatedly stated that Us will not be about race. Us’s concept seems a little too on the nose to not be some sort of social commentary, á la “we are our own worst enemy,” or something of that sort. Us premiers on March 21, 2019. The hunger for more Star Wars movies has significantly died down since the release of TLJ and more recently, Solo, a movie some would consider a failure. Whether or not anyone enjoyed Solo or TLJ, there’s always pressure to improve on predecessors- Episode IX will do just that. It’s clear Disney trusts J.J. Abrams to direct Episode IX. Disney’s original plan for the new trilogy was to have a different director on for each new installment, but after the ousting of Colin Trevorrow (Jurassic World, The Book of Henry) and critical backlash against Rian Johnson’s The Last Jedi, it seems that Disney is going to stick to their guns. Many cast members from The Last Jedi and The Force Awakens will be returning for Episode IX, including Adam Driver, Daisy Ridley, Oscar Isaac, John Boyega, Domhnall Gleeson, Lupita Nyong’o, and Mark Hamill. Plot details are scarce, but a trailer is rumored to drop in April coinciding with the Star Wars Celebration. Episode IX will release on Dec. 20th, 2019. My name is Josh Erales and I am so honored to be a part of the Cain Live writing staff. Check back as I bring you the latest in movies, TV, and more! Should People Ask Their Crush Out For Valentine’s?